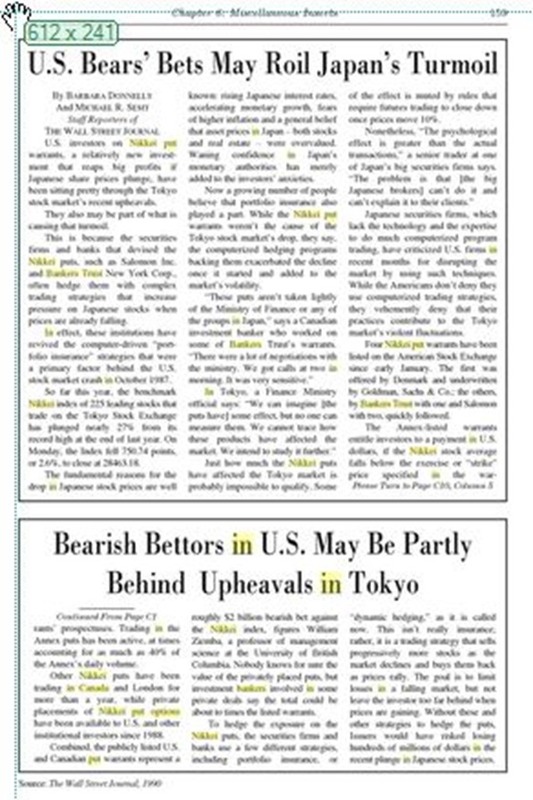 Nikkei 225, a bit of nostalgia. We are approaching year-end, often things happen at that time, perhaps because of all the good intentions that are mostly broken in a few days which may cause mood changes. This is the Nikkei 225. 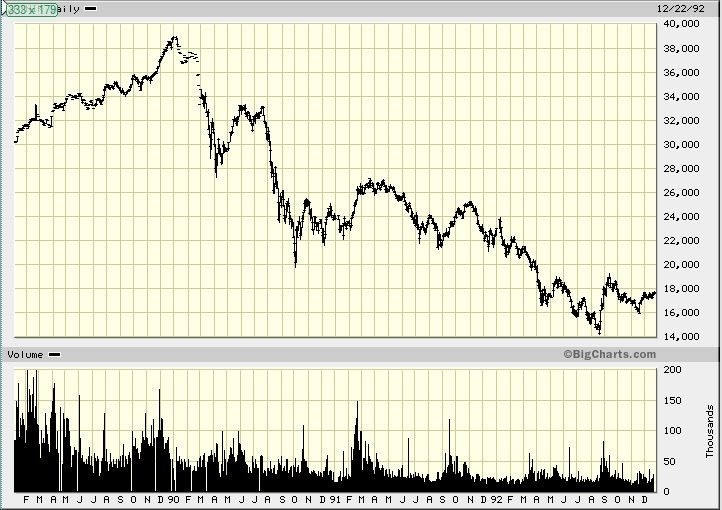 It hit a high of about 39000 around year-end ‘89 only to drop to 7000 in ‘09. People were so bullish that they completely ignored the ‘87 crash in the US. The world applauded their management skills and the only direction the market could take was up. Here in Canada Bankers Trust came out with an issue of warrants which were in reality put options. 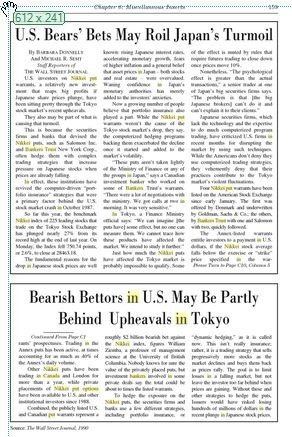 Options were so cheap that you could buy a 3-year leap with a strike such that you would break-even if the Nikkei dropped by a mere 6%, that is how bullish they were in Japan and willing to take the other side. The beauty of these warrants was that they were RRSP eligible. This was one of the first instances where derivatives were used to circumvent the CRA legislation with respect to RRSP eligibility. To make a long story short, at around year-end we had the stock index of the then 2d largest economy turn on a dime for no apparent reason other than “enough is enough”. Who knows but history may repeat itself. VRX Valeant Pharmaceuticals Intl. Ltd.